Public voting can be done at their website up until midnight on 22 February 2015. The 3 best projects in each category will then be assessed by a jury of professional associations and winners will be announced at the awards Gala on 26th March 2015. Every day – the team at #BxlFF reads all the food blog posts of the community that have been published in the past 24hr (yes – EVERY day) and then shares them on Twitter & Facebook. so what are you waiting for? 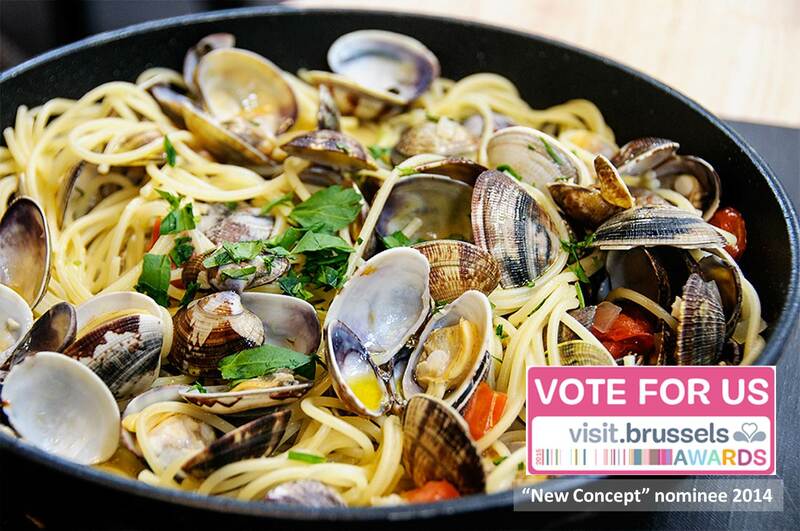 Vote for Brussels Food Friends now! We are proud to be associated with Bookalokal who is also nominated for an award in the Best Gastronomic Concept! Maxine is a South African experiencing her 7th year living in Brussels and still can’t speak French… married to HIM who speaks 5 languages (& thankfully with French being one of them!). Loving food in all its glory… reading about it, making it and eating it! She writes Why I Am Not Skinny. Follow her on Facebook, Twitter and Instagram.